Elaine Dundy is famous as the author of one of the most seminal releases in the world of Elvis literature: "Elvis and Gladys: The Genesis of The King". First published in 1985 the book is being reissued this month by the University Press of Mississippi. What many fans will not know is that Ms Dundy has led an absolutely amazing life herself, first as an actress and later mixing with the 'A' list in the entertainment and arts world where she faced her own demons. Elaine's other literary works include the best seller, "The Dud Avocado", "The Old Man and Me", "The Injured Party", "Finch, Bloody Finch" (an acclaimed biography of actor, Peter Finch) and her fascinating autobiography (soon to be a film), "Life Itself!" 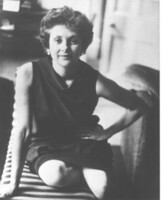 In the first part of her fascinating interview with EIN in 2004, Elaine looks back on her own life, discussing her famous novel, "The Dud Avocado", time spent with "friends" like Ernest Hemmingway, Tennesse Williams, Marilyn Monroe and Marlene Dietrich, how she came to write "Elvis and Gladys" and the often unflattering way Elvis is presented in the media. In this, the concluding part of our fascinating interview, Elaine talks about Elvis' psychological make-up, the impact of his "twin" throughout Elvis' life, his religious upbringing, people who knew Elvis and more. EIN: Another very interesting part of 'Elvis and Gladys' concerned Elvis' childhood fascination with Captain Marvel Jr. Do you see a connection between the Captain Marvel/Freddy Freeman dual identity issue and Elvis' role as one of twins? E.D. : Elvis was a twin whose brother died at birth. For the rest of his life, Elvis would feel loss and guilt but he would also feel something more; something without which we cannot begin to fathom Elvis' character. He would feel triumphant; he was after all, the one who survived. He would relate to friends and lovers with the dependent intimacy of a twin looking for his other half, but always the dominate one. EIN: Thinking of the nature versus nurture argument, do you think Elvis was self-destructive in the sense that his psychological make-up meant his premature and unfortunate end was inevitable? E.D. : I think of Elvis as a Greek tragedy; chosen by the gods then abandoned by them and to contemplate his story is to be filled with pity and terror. So many legends and religions bump into each other in Elvis' story: Orpheus torn to pieces by the Maenads; the Divine Right of Kings; Judaic and Christian dealings with the Devil. Jesus, tempted by Satan resists with a "get thee hence." Dr. Faustus, said to be Jewish origin, makes his pact with the Devil and ends in hell. Early on Elvis meets Colonel Parker and signs a contract which binds him to the diabolical Dutchman for the rest of his life. Incidentally, I find myself blaming everything Elvis should have done and didn't on the Colonel Parker's pernicious influence Behind Elvis there was another great legend: the metaphysical world of double identity comic book heroes. Elvis' favorite was Captain Marvel Jr., who looks, in fact, exactly like Elvis will make himself look for the rest of his life. Marvel Junior is the most powerful boy in the world. The other identity being the reality of poor, Freddy Freeman but both go about saving the world. EIN: Elvis Monthly once called Elvis films "puppet shows for not over-bright children". Do you share this sentiment or see greater depth particularly in Elvis' early films and those comprising the late 1960s change in direction? Elaine, you were also one of the first to draw attention to recurring themes in Elvis' films that mirrored aspects of his real life, for example the overreaching manager, missing parent, twin motif and Elvis' Indian ancestry. Why do you think these themes were included in his films? E.D. : In the beginning I think they got it right, that on the whole give a good script and a good director and you get a very appealing personality. Later when the interest was only in making money, they had bad scripts, perhaps gingered up by Colonel Parker injecting his wise crack. Basically the films shot in 16 days were solely to make money. But one thing they did was have Elvis meet people as equals, not as inferiors-i.e., Elvis with Hawaiians, Mexicans, and young children and babies whom he magically related. And as I said earlier, he did not get any actor's training. I'm still trying to find out why he didn't get coaching when huge stars such as Brando and Newman did and Montgomery Clift even had his own coach on set on all of his films. EIN: We can recommend your book 'Elvis & Gladys' to anyone interested in Elvis, popular culture or indeed American history of the south. In recent years it has been hard to obtain so we are very glad to see a reprint at last being released. Has it been updated & why is it coming out in 2004? E.D. : No, it hasn't been updated. Although I have written other articles about Elvis, I knew his background and early years was his biography. After Hollywood, his life became a different story; it became the biography of a movie star. 2004 is the University's Year Of Music. EIN: In your incredible autobiography "Life Itself" you comment that you suddenly realised in your life you had known only celebrities, not any real people, and that meeting the folk of Tupelo changed all that. How did the experience affect you? E.D. : I found the people I met there just as if not more interesting than the celebrities: Roy Turner, Phyllis Harper, Corene Smith-all involved in Elvis's story-I think of as life long friends. It was a liberating as well as learning experience. EIN: You stated that after Elvis' death your curiosity led to you discovering Elvis' musical genius through his gospel LP, 'He Touched Me'. Do you see his religious work as overtly important (as opposed to his ground breaking fifties singles) and how important do you believe "The First Assembly of God" church was in Elvis' success? E.D. : The First Assembly of God, as with so many singers like Jerry Lee Lewis and Dolly Parton, was a major influence in his life. The church, with its emphasis on emotional spontaneity, had not only active preachers, but active congregations. It was Elvis's first exposure to white soul, which is so close to black blues. Specifically as a youngster it gave him a forum, an audience as willing to believe as he was, an audience whose believes were on the same side as his, an audience he could move. No booing or catcalling of any of those performances. It gave him not only confidence, but a caring community and not least, food for him and his family after Sunday church. EIN: Your experience in becoming an Elvis fan mirrors that of many others. You commented that on hearing the LP, "I reacted with the zeal of a convert". What is it about Elvis Presley that not only touches so many people but literally gets inside their skin? E.D. : To produce what Elvis produced in his voice, i.e.- biological aptitude, can be measured and broken down into sense of pitch, timing, harmony, rhythm, and tonal memory, interval discrimination, mode (or chord) discrimination, melodic sequences, and musical imagery, and these are governed by the structure of the vocal cavities, the lips, teeth, tongue, soft palate, jaw muscles, and the thickness in length of the vocal cords. It helps if you had a mother who loves you, grew up in a small town, and was a determined dreamer. Otherwise, it can only be explained by saying he was a prodigy, probably learned it all before he came out of the womb. 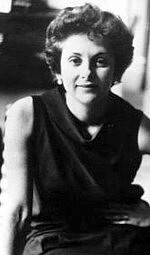 EIN: Elaine we'd love to quote Gore Vidal who wrote about you "Her life among the lions is not only witty and wise as she brings into focus one husband Kenneth Tynan, one Orson Welles, the one & only Elvis Presley, and not least of all the lioness herself surviving all". That is such a fabulous quote. Do you feel like a surviving lioness?! E.D. : Sure. I also feel living long is the best revenge. EIN Final Comment - You have had the most fantastic life and met the most amazing of people. We only hope that there is something beyond this world and that one day we can share your dinner table with all these fascinating characters that you have known! Elaine Dundy: thank you so much. EIN wishes to thank Joan Gansky for her help in arranging this interview. Click here for Roy Turner, Elvis historian, talking about Elvis In Tupelo: Roy Turner is an Elvis Historian who is well-known in the Elvis world for his amazing research into this all-important period of Elvis' past. He was the major source of research behind Elaine Dundy's book 'Elvis and Gladys', has been involved in multiple Elvis projects and was the author of the recent MRS book 'Tupelo's Own; Elvis Presley'. Elvis author Elaine Dundy passed away: Elaine Dundy author of the marvellous book 'Elvis and Gladys' passed away on May 2nd 2008. She was aged 81. In her early years Elaine Dundy was a significant part of the Hollywood and theatre scene with friends such as Ernest Hemingway, Orson Welles, Gore Vidal and Tennessee Williams. As an author Dundy was well respected for her inspired writing, as well as her attention to detail and thorough research. Her 1958 novel 'The Dud Avocado' was a massive seller world-wide and has never been out of print. For 'Elvis and Gladys' she lived over 5 months in Tupelo befriending many of Elvis' Tupelo acquaintances and returning multiple times to continue her investigations. As she noted in the book, "I arrived in Tupelo Friday night and by Sunday I was listening to a sermon delivered Brother Frank Smith at the Assembly of God." Brother Frank Smith was of course a key player in Elvis' musical development. Back in 2004 EIN was delighted to interview Elaine Dundy and find out more about her amazing life. She will be missed by all her friends.